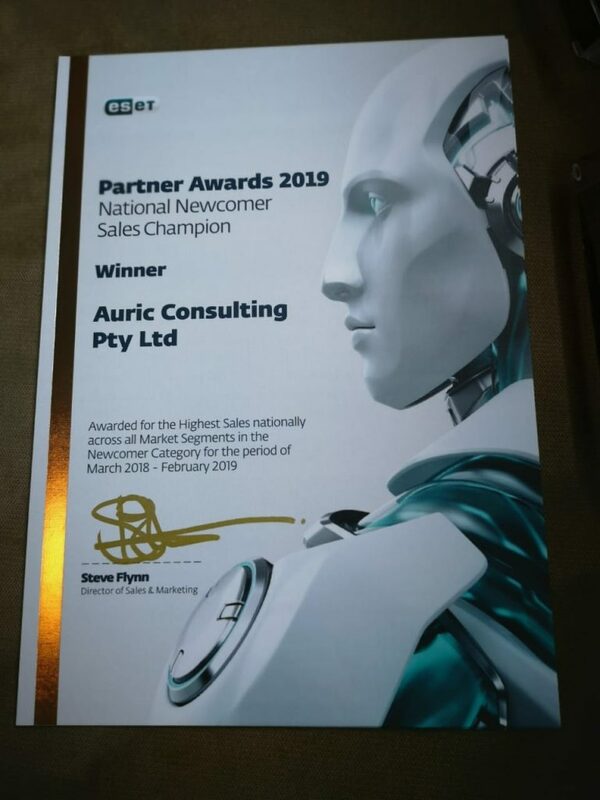 Auric Consulting attended the ESET Partner Awards 2019 recently and walked away with three awards including National Newcomer Sales Champion, Regional Newcomer Sales Champion and The Recognition Award for Future Star in the industry. 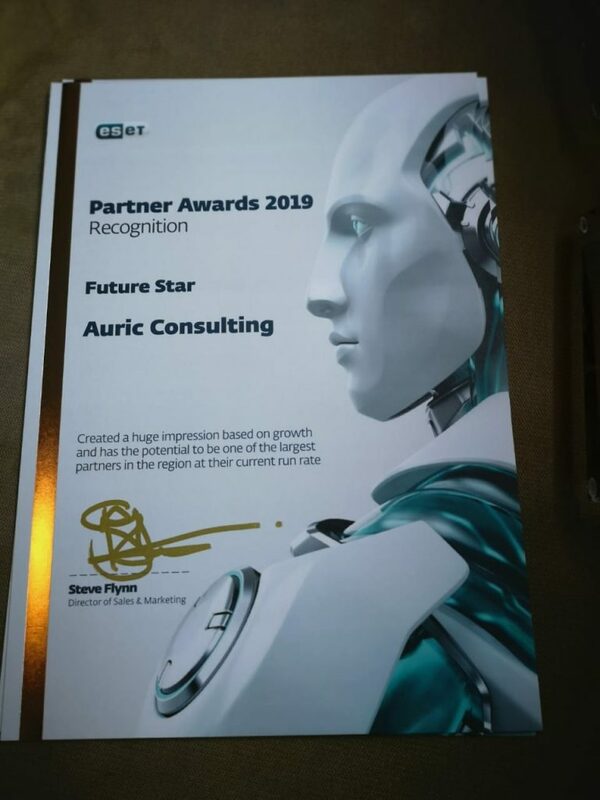 Auric is also certified by ESET to deploy the technology and not just sell it. “We have worked incredibly hard to make sure our clients are protected with what we believe to be the ‘best in market’ product available. 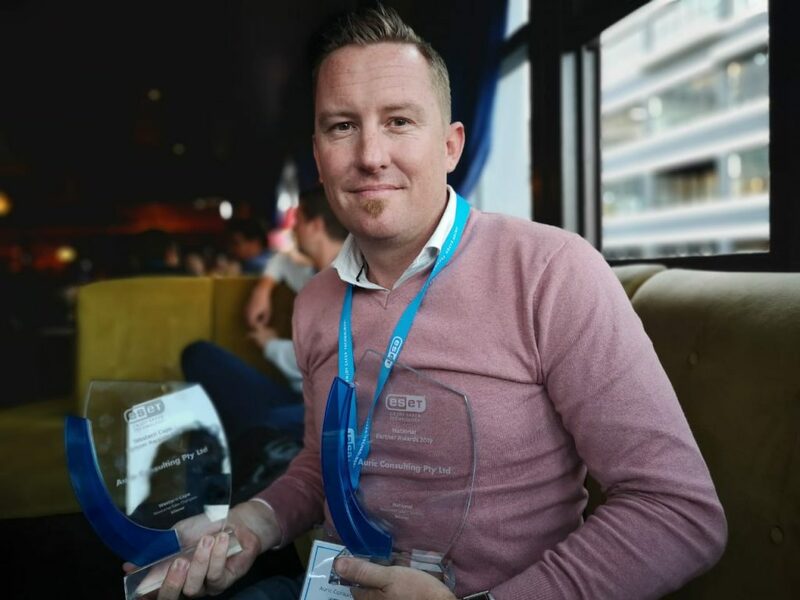 These awards are well received as it shows how we are making an impression on the industry,” said Kyle Giliam, Lead Technical Consultant, for Auric Consulting. Learn more about how ESET can help protect your business. 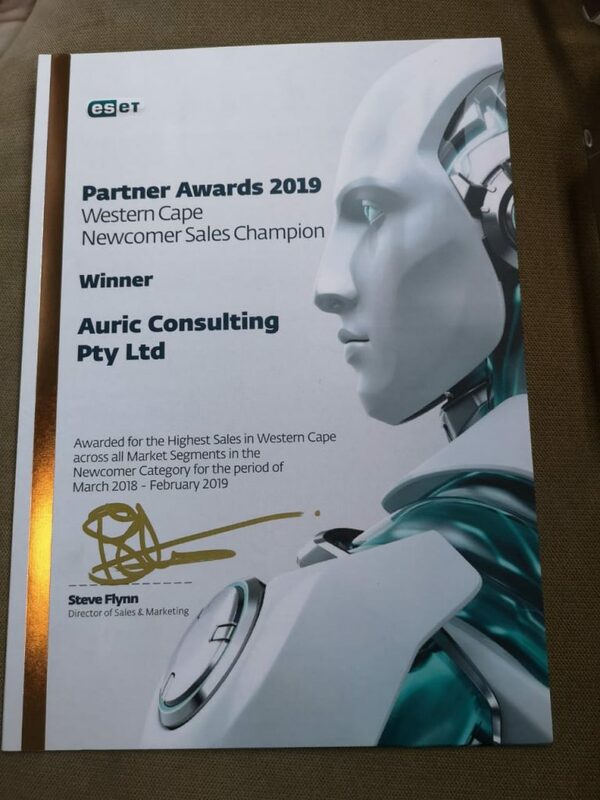 This entry was posted in Awards and tagged 2019, auric, auric consulting, Awards, cape town, ESET, Security.